Devbhumi Dwarka District is a district of India located on the southern coast of the Gulf of Kutch in the state of Gujarat. Its headquarters are located in the city of Jamkhambhaliya. 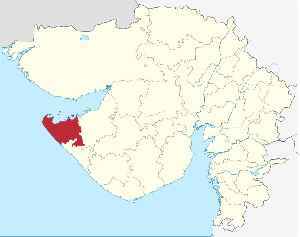 The district was created on August 15, 2013 from Jamnagar district.